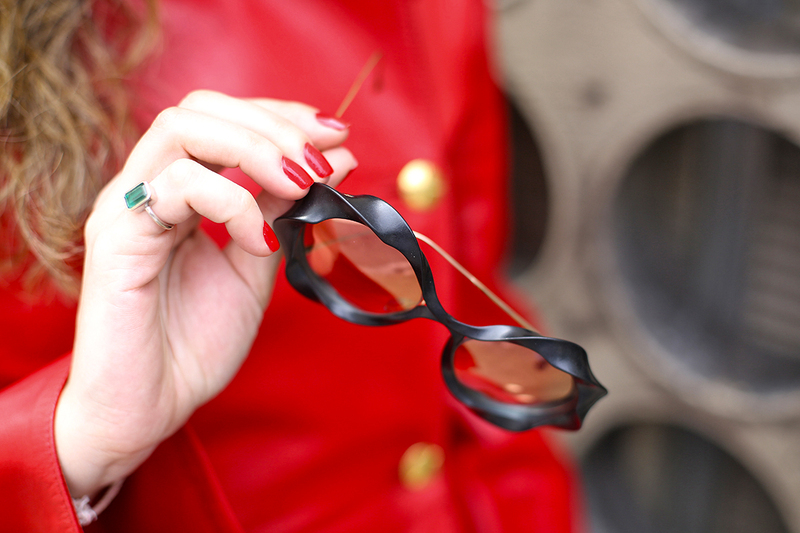 Today, Chantal is wearing the Silmo d’Or awarded model 609 Vortex, a 3D printed piece of art by Impressio. 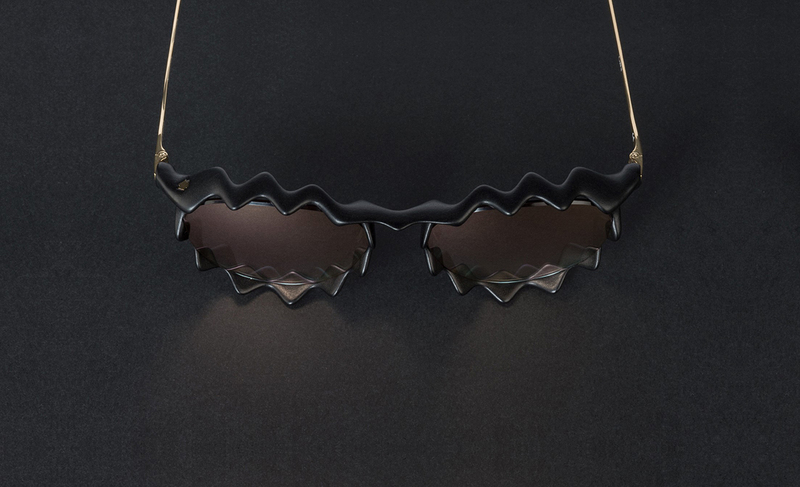 Its design was realized using mathematical algorithms, representing a Vortex type profile that wraps around the lens forming an 8 infinite, almost flowery. By its movement, this model represents, the complexity of the infinitely simple. With this design, Impressio pushes the technical limits and questions volumes through its collections. Curves and reliefs that reflect both naturalistic and art nouveau inspirations and modern architecture. 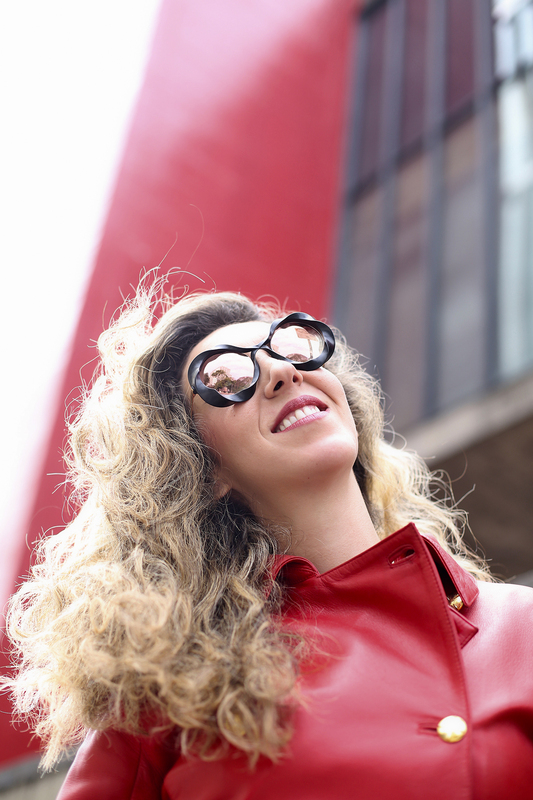 Eyewear becomes a playground that combines new technologies and timeless know-how. Impressio refuses all technical constraints. 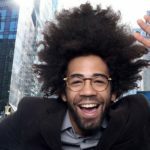 Advanced design and 3D technologies now allow this philosophy to take shape, while continuing the tradition of the most specialized eyewear. 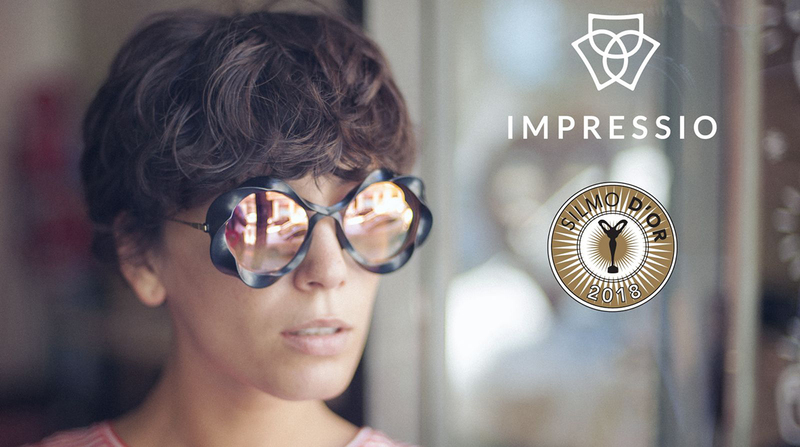 Artistic eyewear based in Luxembourg, Impressio pushes the technical limits and questions volumes through its collections. Curves and reliefs that reflect both naturalistic and art nouveau inspirations and modern architecture. The mission of IMPRESSIO is to produce unrealizable design parts with traditional manufacturing techniques and to add a handmade assembly. IMPRESSIO is a brand created by Emmanuel ANDRIVET and Guillaume BOISSON, launched a year ago at Silmo 2017. IMPRESSIO is based on iconic glasses but with surprising volumes and details.